Warren and his family have been at Hope Chapel for nearly 40 years. He graduated with honors from California State University, Fresno with a Business degree and, soon after, went to work for the United States Air Force. He and his wife, Sharon, have been married almost 40 years. They have three sons, two daughters-in-law and two grand-daughters - with a third grandchild on the way. 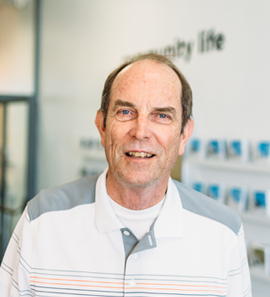 Warren is also a MiniChurch Shepherd, part of the Financial Counseling Ministry, a Church Elder, and strong supporter of Matthew 28:19. He has distributed over 2,000 Million Dollar Bill tracts, sharing the Good News with each one. In his spare time, he is working on a movie titled “My Three Sons,” and a class called “Why I believe God created the Universe and Everything in it in Six 24 Hour Days."